Every few months, like clockwork, the Chocolate Festival rolls into town. Not that that's a complaint from us, mind. This time round, the Festival brings over 50 exhibitors to Islington Business Design Centre, offering everything from unusual flavours to chocolate macaroons and organic, gluten and dairy free versions of the good stuff. There's even wine to wash it all down. As well as a chance to do some Christmas shopping (although if it stays firmly in your own stocking, we won't tell anyone), the Cocoa Spa featuring Lush offers relaxing treatments such as body scrubs and massages, all using cocoa-based products. You'll need to book when you arrive on the day. The health zone offers an insight into the health benefits of chocolate, whilst the Christmas Zone has a tree decorated entirely with chocolate. 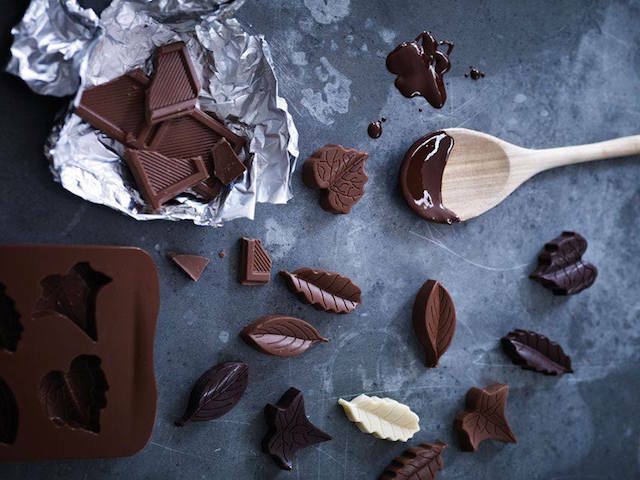 And, the piece de resistance, the Tasting Lounge offers games, experiments and themed sessions, with tastings and talks from some of the UKs leading master chocolatiers. The full programme is here; note that these events need booking in advance for an extra cost. The Chocolate Festival takes place at The Business Design Centre in Islington, 12-14 December.Tickets are £7 in advance/£8 on the door (children £4/£5, under 5s go free). Book tickets here.